Need to twerk something but most wrenches are too boring and low-tech for you? It's about time you check out the HK1 Hydrokinetic Adjustable Wrench. It uses the power of earth’s most abundant natural resource, water to adjust grip tension to over 20 different metric and standard sizes. So you can twist a huge variety of nuts and bolts, all day long if you want. 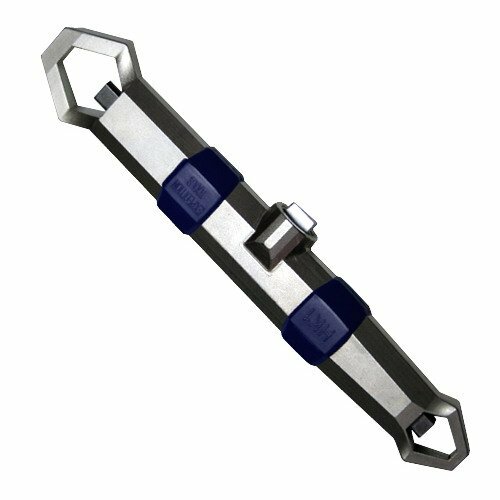 The HK1 Hydrokinetic Adjustable Wrench is constructed of nickel plated steel. It's relatively small 7.5 inches (19cm) long and 9 oz (255g), so it's easy and convenient to use. All in all the HK1 Hydrokinetic Adjustable Wrench is a cool little tool, and definitely not a Dull Danny.